The demonetization scheme, and its subsequent fallout, has caused the opposition to renew its attacks on the government. And several companies are getting caught in the crossfire. 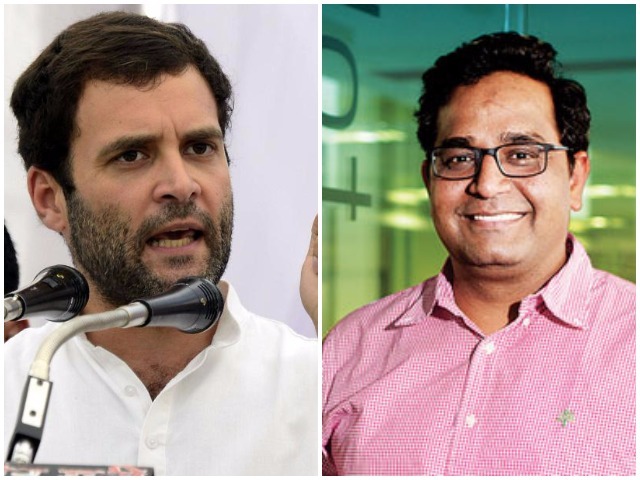 After Arvind Kejriwal had accused the government of carrying out the demonetization scheme to benefit wallet provider Paytm, Congress Vice President Rahul Gandhi has also attacked the Noida-based firm. Paytm had been the most visible beneficiary of the government’s demonetization scheme which caused large amounts of cash to be sucked out of the monetary system. This had made wallet companies such as Paytm, Mobikwik and Freecharge viable alternatives to cash transactions, and all had reported higher usage since the move. Gandhi also attributed L&T’s much-publicized recent layoffs to demonetization. “Layoffs are happening. Today I was just told that L&T has laid off almost a lakh people.” L&T, though, has a workforce of only 90,000, from which it had laid off 14,000 people on 23rd November citing automation and changing technology. Paytm was India’s largest wallet company before the demonetization move was announced, and while it has gained even more ground over the last month, it has also come under attack from several quarters. Earlier, Delhi Chief Minister had hinted that the company had colluded with the government to bring about the demonetization move, after it had published a full page ad on leading dailies featuring an image of Prime Minister Narendra Modi. There have also been murmurs about its Chinese investors, and public sector bank SBI had even allegedly brought up its 40% Chinese holding in a banner that seeked to compare it unfavourably to its own wallet, SBI Buddy. Mamta Banerjee was also attacked the company, saying that the other word for Paytm is PayPM.